This set of five 1-Wire Temperature Sensors is perfectly suited for accurate temperature measurement in rooms around your home or office. Each sensor is approximately the size of a £1 coin and can be used almost anywhere. Each sensor comes with double sided tape for easy mounting, and has a push connector to make the wiring easy. No more soldering or crimping connectors, all you need to do is push the cable in. Done! 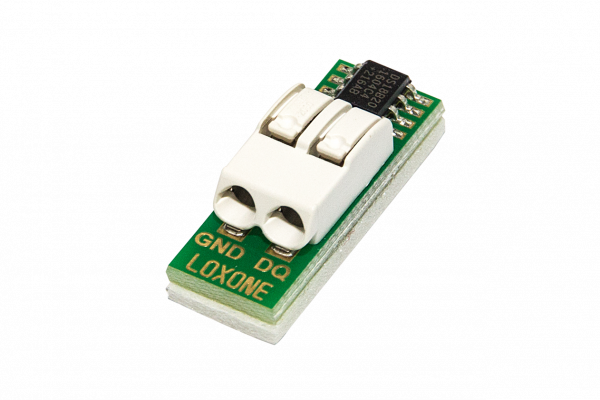 Each sensor comes with double sided tape for easy mounting, and has a push connector to make the wiring easy. No more soldering or crimping conectors, all you need to do is push the cable in. Done! 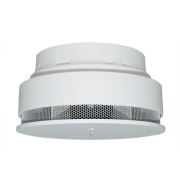 The smoke detector with integrated Loxone Air technology for more security in your Loxone Smart Home.